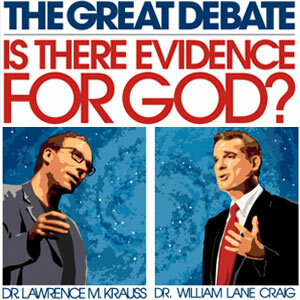 Last evening, Wednesday, March 30, 2011, Dr. William Lane Craig debated Dr. Lawrence M. Krauss on the topic, "Is there Evidence for God?" You can watch the video of the debate here. Apologetics315 has made the audio available here. Brian Auten of Apologetics315 has continued his weekly interviews with various Christian apologists and thinkers. For a complete list of his past interviews, see here. Recently, he interviewed former atheist Richard Morgan. 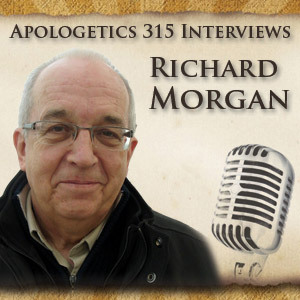 "Today's interview is with Richard Morgan, a former atheist who found salvation in Jesus Christ. His testimony is fascinating, as part of his conversion story came about through his interactions on the Richard Dawkins website discussion boards. He has appeared on the Unbelievable? Radio program (here / MP3). He talks about his background, how he arrived at atheism, how he viewed God, his encounters on the RD forums, and his conversion to Christianity. He also offers some words of insight for Christians and atheists." You can read his story in this PDF. The full Interview MP3 Audio is here. I receive various emails and comments regarding different websites on the Internet. Recently, a website was brought to my attention entitled God is Imaginary. As someone who considers the question of God's existence or non-existence to be of utmost importance, I visited the site and was disappointed at what I found. Most of the so-called "proofs" of God's non-existence lacked any type of formal argumentation and are nothing more than what I have dubbed in the past "Cookie Monster" objections. Got Questions? has written an article that responds to this website that I felt was worth highlighting. I encourage our readers to check out the entire article here. Further, the audio is available here. "Even though atheists may not like it when people say it, I'm a former atheist. Although I wasn't a Richard Dawkins or Christopher Hitchens type figure, none the less I didn't believe in God, and thus lived in a way which was consistent with me being captain of my ship. Perhaps I'm just not as clever as the New Atheists but I like to think that I hold truth to be something as important and my intellectual integrity simply won't allow me to ignore Jesus and embrace a god-less world-view that I doubt exists." I encourage our readers to checkout Dan's blog where he offers varies thoughts, articles, and other resources dealing with various topics. As Dan says, "I'm almost an Atheist.... I just believe in one more God than you do." Dan's blog is also included in our An Apologetics Arsenal located here. I have always had a hard time taking Rob Bell seriously. If you have seen his videos, you are familiar with the scenario: Bell is usually sitting on a park bench, wearing trendy clothes and doing his best to sound cool and cutting-edge. However, within the style exists little substance and the Jesus that Bell seems to put forth reminds me of the little "Buddy Jesus" from the movie Dogma that one can purchase and stick to their dashboard. Bell does, however, have the ability to get the evangelical community fired-up. While the likes of Dawkins, Hitchens, and Harris travel around the world doing their best to trounce anything to do with Christ or God, Bell releases a book that promotes universalism and suddenly the entire body of Christ is ready for a fight. And while I applaud that, I have to ask myself why more of us don't care about these types of issues all the time and not just when folks such as Bell spout their usual non-sense. My purpose in this post, and the one's forthcoming, is to provide resources for those looking to address the many questions raised by Bell in his new book. God Wins: A Critique of Rob Bell's Love Wins by Patrick Zukeran NEW! As more resources become available, we will be sure to add them. If you know of any that you think would prove helpful, please share them via the comments! 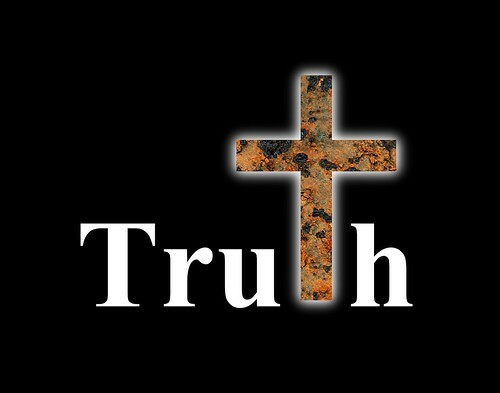 In this brief video(5:01), Dr. Frank Turek discusses the question Does Truth Exist? To learn more about Dr. Turek and his ministry, go here.